Are you getting tired of all my recipes with slaw lately? I can’t even believe I’ve been making so many of them but there are so many versions I love that aren’t the original coleslaw. I’ve found that I actually like slaw when it isn’t in its original form. 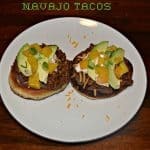 My favorite thing to eat it on is currently tacos which is why this is another taco recipe. Let’s talk about tacos. I love what we call Old School tacos. I take the hard shells and fill them with meat, cheese, and lettuce. That’s it. No salsa, sour cream, jalapenos, or anything else. It’s just the same tacos my mom used to feed me as a kid and I love them! Plus did you know the hard taco shells have way fewer calories then the soft shell ones? Truth! I usually buy the medium sized soft tortilla shells when I do make them but they are 130-150 calories each! I find that to be crazy. I actually found a brand that has the small soft tortilla shells and they are only 80 calories so I’ve been buying those and I have to tell you, I don’t miss all that extra tortilla because it’s all about the filling. 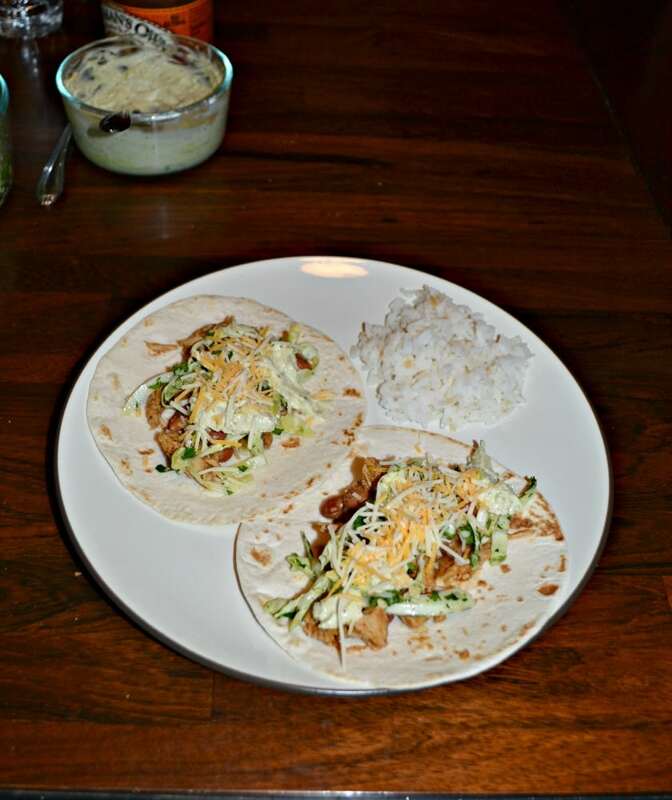 The filling in these tacos is a tasty pork and pinto bean filling. 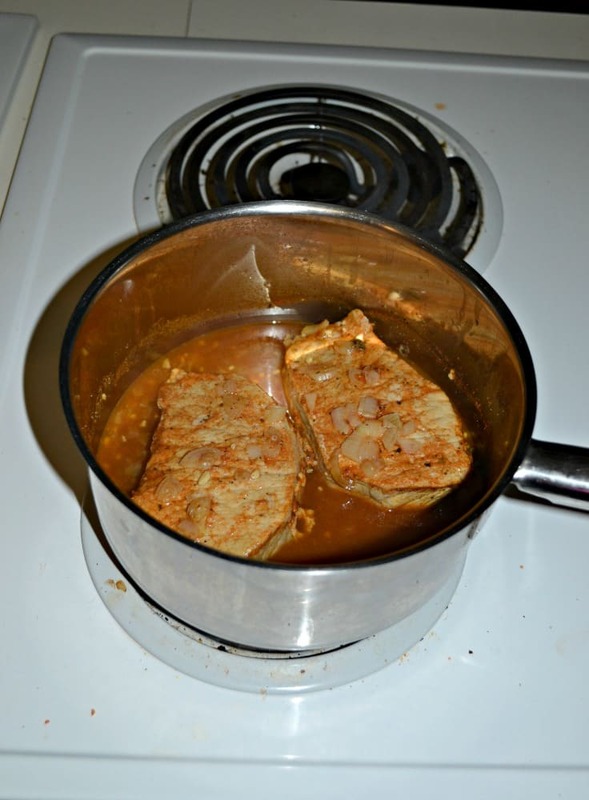 The pork is simmered in a saucepan with shallots, chicken broth, and some spices. 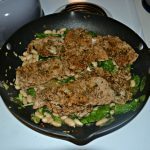 Then the pork is shredded and mixed with the beans. Then the coleslaw is made with cabbage, cilantro, and lime. 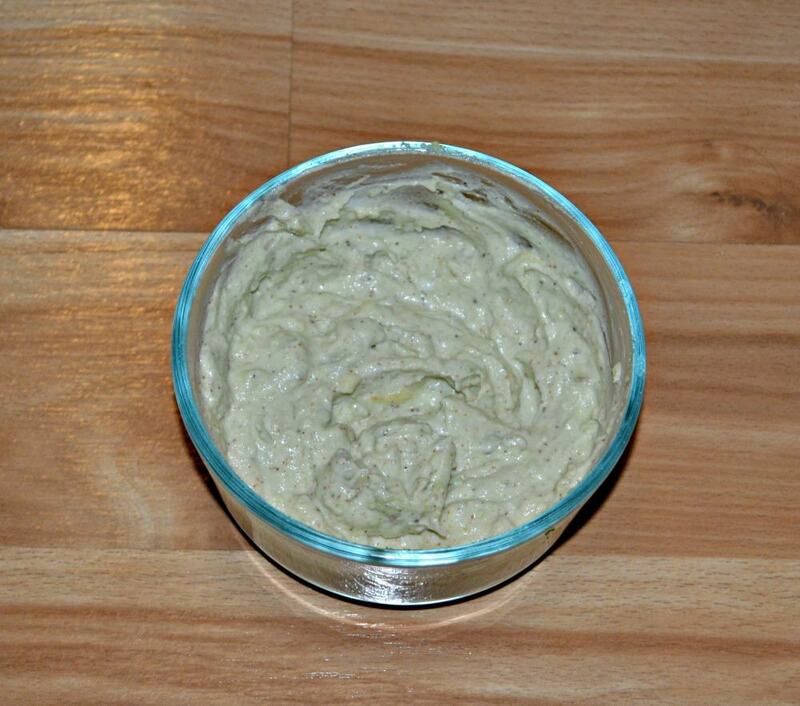 Then there is a creamy avocado sauce to put on top of everything! 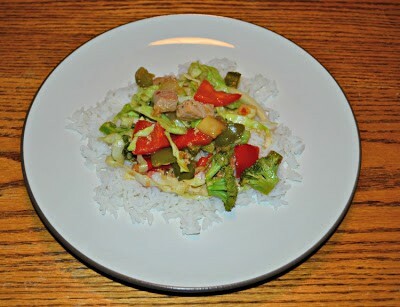 Everything is put together on a small tortilla and served with rice. I liked the cool Mexican slaw paired with the pork and beans. Plus the avocado sauce added a bit of texture to the tacos. It made a nice contrast in flavors and it was different then our normal Mexican meals. Make these delicious pork and beans tacos topped with a tasty Mexican slaw and avocado cream sauce. Combine the shallows, stock, cumin, paprika, and pork in a small saucepan. Bring to a simmer then reduce heat to low. Cover and simmer 30 minutes. Remove the pork from the pan and set aside. Increase the heat to medium and cook for 8 minutes or until liquid is reduced to 3 tablespoons. Shred the pork using 2 forks then return the pork to the pan with the simmering liquid. Add in the beans and garlic cloves and mix to combine. 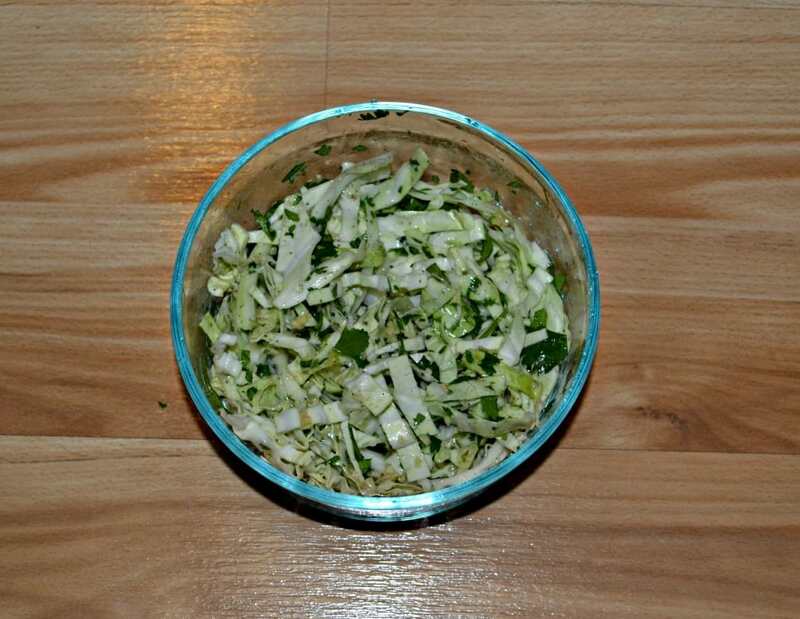 Meanwhile, combine the cabbage, cilantro, 1 tablespoon lime, oil, garlic, and pepper. Toss to combine. 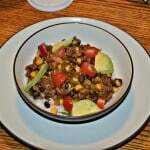 In a small bowl combine cumin, salt, yogurt, avocado, and remaining lime juice. Mash until desired consistency is reached. 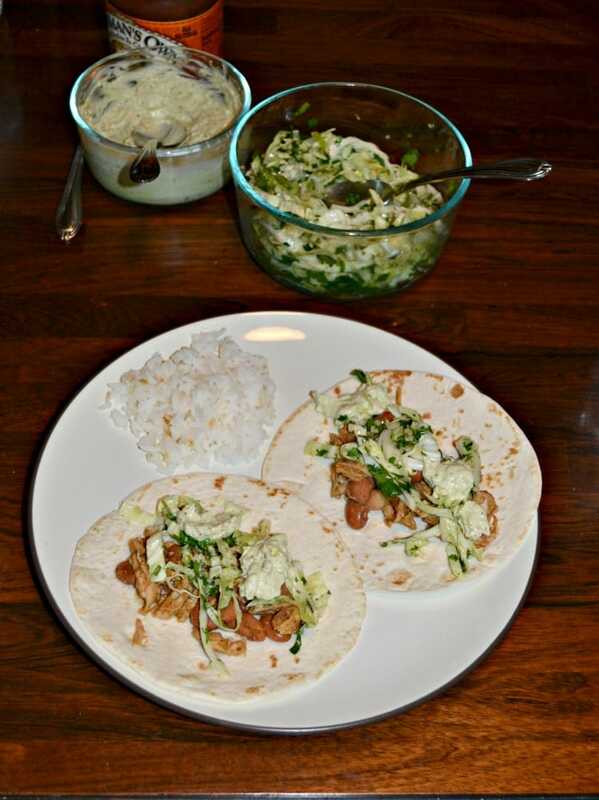 To assemble divide the pork and bean mixture into the tortillas then top with a heaping tablespoon of slaw and a few teaspoons of avocado sauce. Serve.